We find that riding with less weight on the body makes for an improved riding experience, so we’re constantly on the search for ways to disperse the gear we carry on rides. 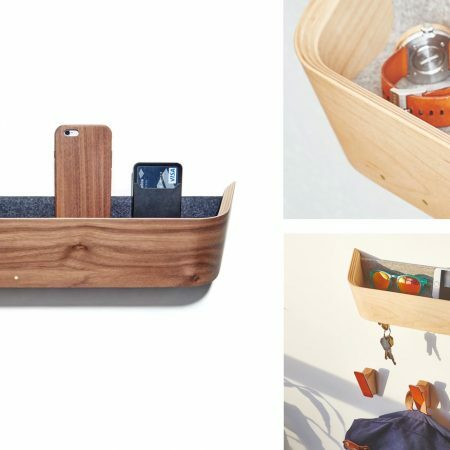 The Wolf Tooth B-RAD System is a bottle relocation and accessory system designed to aid with this endeavor. Designed around a series of slotted mounting bases that bolt directly to the water bottle cage bosses, the B-RAD adjustable rail system allows you to improve or optimize bottle cage locations and even add water, tool or spare part carrying capacity. More importantly, it was a clear solution to a problem I was looking to solve: how to better utilize the space on my Kona Honzo. I use a frame bag on my Honzo to house a Shimano Di2 battery and tube; it leaves me with minimal clearance for the single bottle mount. A moment after I discovered the existence of the B-RAD mounting base I had one on order. The problem I was looking to solve? I wanted to lower my bottle cage to better utilize the negative space on the Honzo in conjunction with a frame bag. The mounting rail installed on a Kona Honzo. Installing the B-RAD mounting base is super easy. After unbolting the bottle cage, you simply bolt it on the water bottle bosses. My Kona Honzo had a ton of usable space so I slotted it to the lowest position. 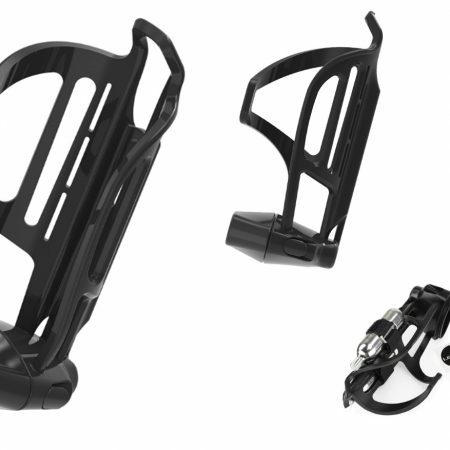 The bottle cage and/ or desired accessories then bolt to the mounting base. Bottle clearance before and after the addition of the mounting rail. I can now fit a full size bottle. I now can fit a full size bottle with the frame bag in its current location. 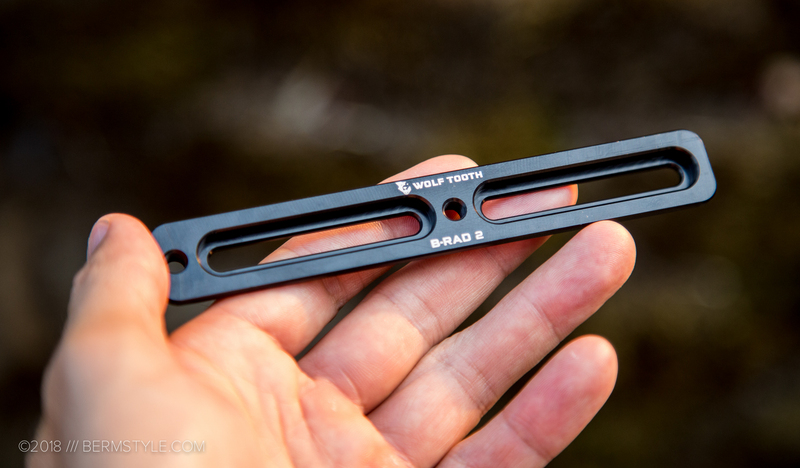 The B-RAD bases are also available in a 3 and 4 slot mounting base option. A 3 slot would have been interesting to experiment with as well. I like the idea of mounting a multi-tool of some kind to it.. 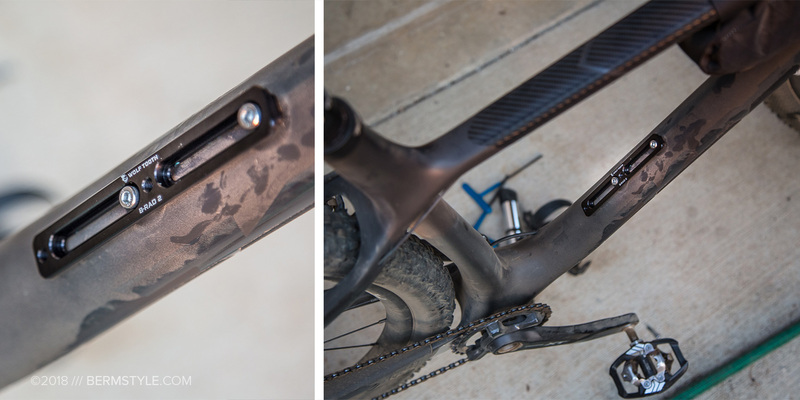 Although it appears to be designed to solve the needs of bike packing enthusiasts, the B-RAD mounting base is a great way to customize the cage location on a number of our bikes. At $17.95 they aren’t super cheap — especially if you’re buying them for a few bikes — but the value of what it provides is there. Besides the Mounting Base I’m using, Wolf Tooth also offers a B-RAD Double Bottle Adapter, medium strap and accessory mount, pump bag and other accessories. 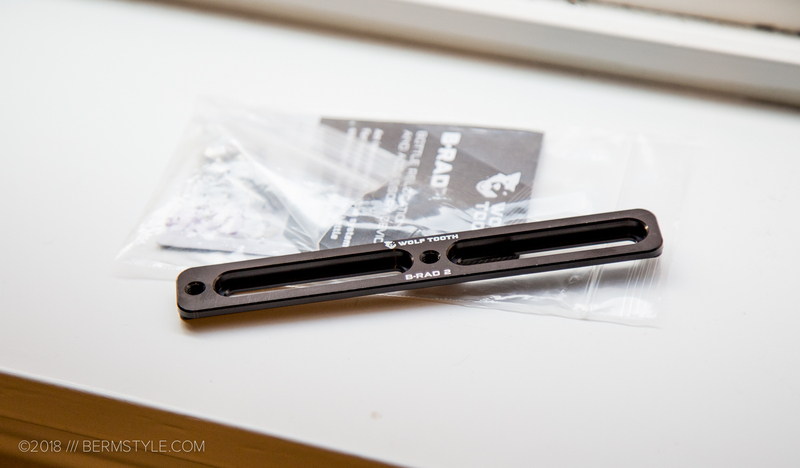 Out of the box: the B-RAD base includes hardware for installation. 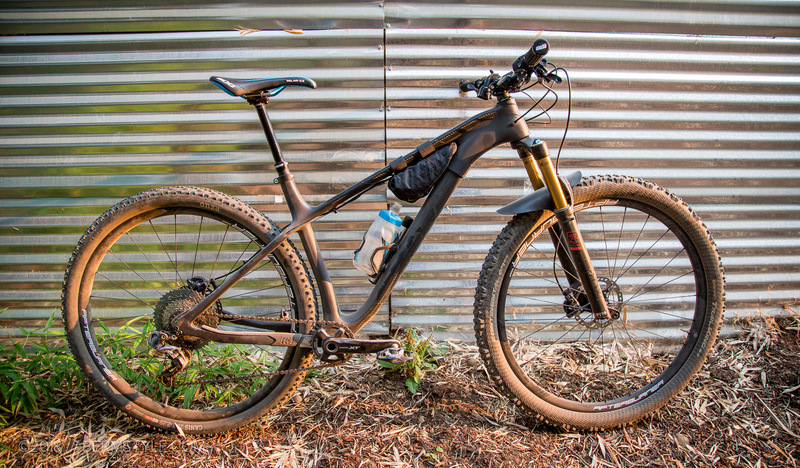 I’m looking to source at least one more to experiment with on our dual suspension trail bikes for additional clearance; hopefully I can go up to a midsize bottle. 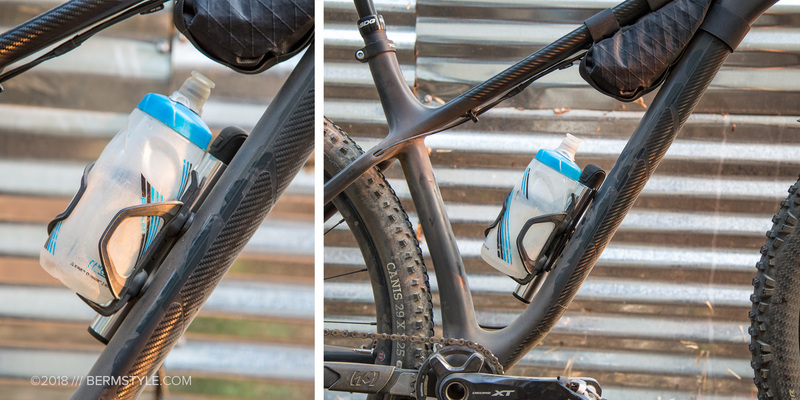 I’m also finding myself intrigued by the double bottle adapter; though two bottles might look a bit unusual, it would prove useful for long rides where I want to forego a pack.